Kuala Lumpur (VNA) - Pencak silat martial artist Pham Thi Tuoi earned Vietnam’s first gold medal on August 29 at the SEA Games 29 in Kuala Lumpur, which will end tomorrow. Tuoi triumphed over Zyawani of Singapore 5-0 in their tanding (combat) match of the women’s 50kg event. 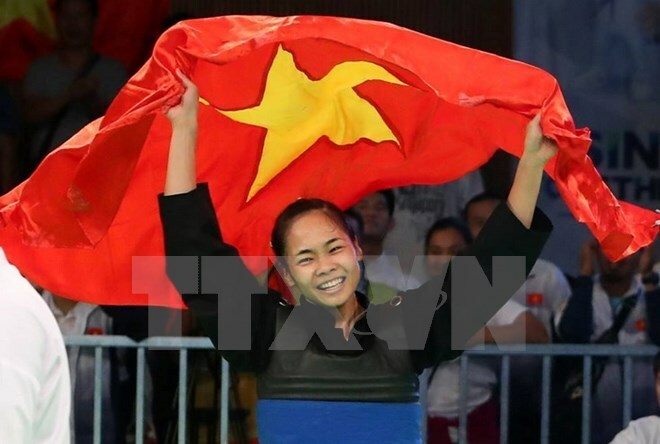 Her teammates Nguyen Dinh Tuan and Tran Thi Them each added a silver medal to Vietnam stock on the day. Tuan was beaten by Malaysian athlete Faizul Nasir in the tanding men’s 55kg, while Them lost 4-1 to Wewey Wita of Indonesia in the tanding women’s 55kg.